When doing a research paper, you’ll sometimes be required to provide an annotated bibliography. You may have heard of a bibliography before—but what is an annotated bibliography? Don’t worry! It’s really no big deal—and quite easy to write. This article will discuss the process of writing an annotated bibliography by giving you a template to see how it is constructed. It will also provide you with some examples in a variety of citation styles (MLA, APA and Chicago). We’ll also give you some topics that usually make for great annotated bib subjects. An annotated bibliography is a list of references (in alphabetical order)—each reference followed by its own brief summary of the material it represents. A typical summary will be around 150 words, though it can certainly be more or less. The summary explains the reference by describing it, evaluating it, and communicating its relevance and/or quality. The purpose of the annotated bib is to provide the reader with a sense of what the reference material says and why it is important or helpful. There is no single template for writing an annotated bib, so the best way to go through this section is to discuss the writing process and then provide a general format that can be used. The writing process should begin with the reference or source itself. 2. Why did you choose the source and what did you learn from it? 3. Is it a quality source and what is your overall evaluation of it? 4. How is it relevant to your paper? To create an effective annotated bib, you should be able to apply critical thinking skills. You should also be able to provide a succinct summary of the work as well as an apt analysis and assessment of its utility. First, organize your materials: bring together all the books, magazines, websites and periodicals that you used to collect information. Second, cite the source according to style of your paper. Third, begin by identifying the theme of the source, summarizing its contents, and evaluating its overall delivery. You can discuss it in terms of other works that you have used. You can discuss it based on its own merits. You can discuss it as contrarian piece that offers a different take on a subject. Last name, First name. “Article Title.” Website, Day Month (abbreviated) Year published, URL. Accessed Day Month Year. Summarize the contents. Evaluate the strengths and weaknesses of the source material. Tell whether it is a worthwhile source or if it challenges other information that you found in the course of your study. Discuss how it helped shape your paper (if it did) or whether it should be considered a good source of information at all. That is essentially all there is to it! So now let’s see some examples. Berrington, Eileen, Paivi Honkatukia. “An Evil Monster and a Poor Thing: Female Violence in Media.” Journal of Scandinavian Studies in Criminology and Crime Prevention, vol. 3, no. 1, 2002, pp. 50-72. This article compares two different representations of female violence in the news: reporting in England versus reporting in Finland. The study finds that the English press sensationalizes violence and reports on it with condemnatory tones, while the Finnish press reports objectively, without bias or judgment and even conveys a tone of empathy. The study is worthwhile because it shows how two different cultures create news to influence social thinking. The problem it uncovers is that culture plays a substantial role in how news reflects scenes of violence. It is a quality report and well-researched. For this paper, the study was helpful in showing how violence in the media can alter perceptions of guilt or innocence, and how media impact society in general. Jarvis, Brian. “Monsters Inc.: Serial killers and consumer culture.” Crime, Media, Culture, vol. 3, no. 3, 2007, pp. 326-344. This study focuses on the serial killing as a pop culture industry. It examines how a number of films, books and TV series exploit the subject of serial killing and murder to consumers. The celebration of this grisly phenomenon is good for business. The claim that the study makes, however, is that serial killing as represented in the marketplace is a reflection of Western serial consumerism: it is the other side of the coin of empty materialism—the soul of humanity screaming and lashing out at the stark emptiness underlying consumerism. The study makes very good use of the material presented to draw the link between cultural obsessions with serial killing and cultural consumerism. It identifies the subject of murder as a gothic subject that appeals to the consumer, who is at root uneasy with and/or disappointed in his or her own consumerism. The study is helpful to this work because it highlights the manner in which the public will pursue subject matter that resonates with the soul, subject matter that reflects the state of mind and spirit of the times. Ciftci, S. (2012). Islamophobia and threat perceptions: Explaining anti-Muslim sentiment in the West. Journal of Muslim Minority Affairs, 32(3): 292-309. This study focuses on the anti-Muslim expressions within Western communities particularly in the wake of 9/11. Experiences are described in five countries: Spain, Germany, France, Britain, and the United States. The main finding is that Islamophobia is felt most strongly among uneducated non-Muslims. One general attitude expressed among non-Muslims surveyed is that Muslims support terrorism. The main reason cited for this finding is that ignorance prevails among society with regard to how terror cells are developed and who in fact supports and fosters them. The study is helpful for showing how Western society as a collective unit generally expresses suspicion of Islam and Muslims. The study could easily be combined with other studies on the subject that focus on media representations of terrorism and Muslims. For this work it is particularly helpful because it supports the argument that Western Islamophobia is both unfounded and at critical levels. Kaplan, J. (2006). Islamophobia in America? : September 11 and Islamophobic Hate Crime. Terrorism and Political Violence, 18: 1-33. This study examines the problems of Islamophobia in the United States and its linkage to 9/11. It chronicles the rise of hate crimes perpetrated against the Islamic community in the U.S. and describes the rise of hate crime perpetration in the years following the NYC terror attacks. The study clearly shows how Islamophobic attacks increased and grew out of a feeling of vengeance by Americans who felt they were under assault from an ethnic and ideological community. It works well with other studies, such as the one by Ciftci (2012) in explaining an Islamophobic Western attitude towards Islam in the 21st century. Clinton, Hillary Rodham. What Happened. New York, NY: Simon and Schuster, 2017. Clinton provides a first-hand perspective and explanation of her doomed campaign for the presidency in 2016. The book is filled with personal anecdotes and colorful stories from the front lines of the election. It is a must read for any student of politics and provides a good glimpse into the mind of one of the most important candidates in modern politics. This work is very helpful for understanding what was going on in the Clinton camp and why Hillary believes she lost the election. Green, Joshua. Devil’s Bargain: Steve Bannon, Donald Trump, and the Storming of the Presidency. New York, NY: Penguin, 2017. This book provides an eye-witness account of the relationship between Steven Bannon and Donald Trump. It takes the reader on a tour-de-force exploration of how they achieved their unlikely quest the White House and what it meant for their followers. The book’s greatest quality is its intimacy of detail, as Green was given backstage access to a lot of what went on during the campaign. For any reader interested in how Trump won the presidency, this book is a must read. 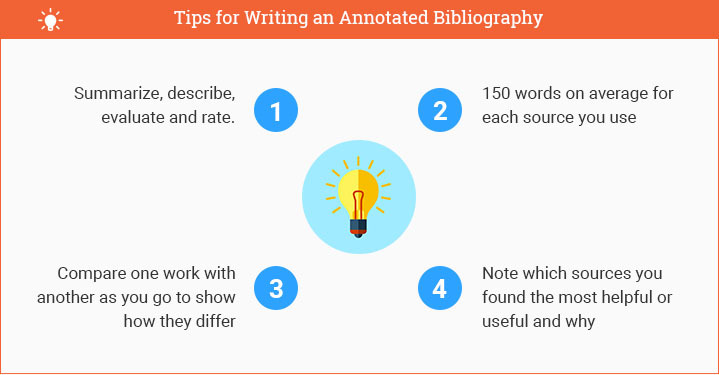 There are a lot of topics you could choose to write about—and that means there are a lot of topics that could be used to fill out your annotated bibliography. Below is by no means a comprehensive list—but it is a good start! Peruse it to find a topic that you think you would like to investigate in more detail. Find some of the books related to that topic—and get going! The art world really took it to the next level with the introduction of Abstract Art. Research this subject and find out how the Abstractionists changed the course of Art history. Academia is a force unto itself: there are so many subjects that are studied in higher education. The sky is virtually unlimited. Everyone’s heard of it—but few know what it really is. How does it form? What circumstances lead to its arrival? How can people protect themselves from it? Accounting practices are constantly changing—from GAAP to non-GAAP, from mark-to-market to whatever comes next. Companies are always looking for ways to make their books look better. Get reading on accounting practices that are in vogue today and what they mean for stakeholders. From Thomas Jefferson to Jefferson Davis; from Abraham Lincoln to Abraham Zapruder—American History is full of colorful characters and many stories. Whether you want to research animals in their natural habitat, animal rights issues, or animal health—there is plenty of information available. The study of humans in various societies in various times throughout history is one subject that can help people better understand their own culture and day and age. Working to find answers to everyday problems is part of what this study is all about. Read up on advances in this field and construct a bib that covers a variety of angles. Art is a topic that never stops giving. Whether you are into Michelangelo or Van Gogh, Cubism or contrapposto—you’ll have no problem finding books and articles for your annotated bib. He started off as a model, moved into acting, then become a venture capitalist and a major investor in the share-space economy website AirBnB. If you like researching celebrities, you’ll enjoy this one. Studying the skies can be a good way to better understand our world and the universe. There are many useful sources for this topic—and lots to learn about, including what pharmacists and drug makers are doing in this field. Understanding the body is something a lot of people do—from professional athletes to psychologists. Knowing what makes us go and what helps us grow is important to so much of life. Building is indeed a science—though some say it is more of an art. Find out why by examining the many resources available for this subject. From management to organizational cultures, the fine art of business is full of interesting areas that would make any annotated bib stand out. Whether you are in the laundry detergent business or are looking for a cure to cancer, chemistry is something to know. Childhood is a great period of life: it is full of discovery, stories, fun and learning. Get a better understanding of why childhood is so important by reading works like The Boy Who Was Raised as a Dog—a really great book that describes why the early stage of life is so incredibly important from a developmental point of view. The religion that helped define the West for more than a thousand years, there is a lot of explore here. The classics can range from philosophy to literature to art to religion. Explore the avenues that most attract you and describe and evaluate what you find in your annotated bib. Whether it’s film, literature, music or philosophy, you can mine a ton of material without breaking much of a sweat. A big topic that’s on a lot of minds today. Go to get the weather report and you’re sure to find someone talking on this issue. Studying the climate and how it works and changes can be a great way to better understand the environment and the world you live in. This field has changed so much in recent years, it has practically re-invented itself. With hacking on the rise and so many people dependent upon information technology, this field is one that is ripe for the picking. The global economy is more integrated today than ever before—and that means a lot for economists. What happens in one region of the world could significantly impact an economy on the other side of the planet. This powerful region of Europe has played an influential role in history for hundreds of years. Why is it so important and how did it get to be so powerful? The way we govern ourselves is certainly not set in stone, though we sometimes imagine it is. Research the history of our government or another and discuss the sources you use in your annotated bib. Health is a great subject because there are always new advancements and findings being reported in academic journals available online. Read a few and describe the sources. Nearly everyone seeks it nowadays but it sure isn’t easy to obtain a degree in a field of your choosing: it takes hard work and perseverance. Research some ways to make this journey easier or more effective. This banking family and dynasty played an important part in transforming the world over the past two hundred years. How did they do it? The era that changed the course of history—the invention of machines that could transform factories and revolutionize the nature of business was a significant moment in time. Evaluate some important books that describe this era. This topic gets a lot of mention in the news nowadays, but maybe that’s because it is something that is so routinely flaunted. Discuss the parameters of international law and how it is enforced. This subject is especially important because it is so controversial. Why is medicine such an expensive field? Who controls it? Since 9/11, the Middle East has been a storm of controversy. The truth is, however, that this region has really be coveted by certain powers by more than a hundred years—both for its resources and for ideological/geopolitical purposes. It’s not just a game by Parker Brothers: it’s also a reality for many sectors of business today. Film is one of the most important mediums of today: filmmakers are lauded and celebrated and their works are admired all over the world. Describe some sources that discuss how the movie business has become the dominant art form of our time. Do you like Beethoven? Mozart? Wagner? The Beatles? Jefferson Airplane? Iron Maiden? What does music mean to you and to others? From Aristotle to Kant, history is full of very different takes on life, objectivity, subjectivity, and meaning. Dostoevsky may have written the finest psychological novels; Freud may have been the most admired psychoanalyst; but this field is constantly turning over new discoveries and in-roads into the human mind. Not just a game—it is a reality. If you are in business, finances, or any other kind of industry, evaluating risk and managing it is something you must do. Evaluate the research in this field. These capitalists came to power during the Industrial Revolution in America. Who were they and what did they accomplish? Most importantly, what legacy did they leave behind? Is it a feeling? A genre? A movement? A language? Look it up and describe what you find in your bib. The history of sports could include anything from famous athletes to how certain games came into existence. The study of all things related to God. This subject could take you on a whirlwind tour of discovery that could shock and surprise you. The annotated bibliography is a great way to communicate to your reader what sources you used and what information you obtained from them. You can describe the books and articles you utilized over the course of your research. You can analyze them and evaluate their quality. You can show how they were useful to your own study. And you can determine whether they would be of use to a casual reader or how they compare to other sources that touch upon the same topics. When you go to write your annotated bibliography, there won’t be a lot of difference in how it looks from one citation style to the next. However, you should be aware of the purpose of the annotated bib and what you’re meant to do with it. It is not just a means of summarizing the material you used in your research. It is an evaluative tool and should give the reader some idea of whether the source material is any good. Don’t be afraid to give an opinion on the work and whether or not you would recommend it to others. But don’t get too carried away either—150 words should do the trick! 1. Summarize, describe, evaluate and rate. "How to Write an Annotated Bibliography." Aceyourpaper.com. Student Network Resources Inc, 9 September. 2017. Web. 20 April 2019. 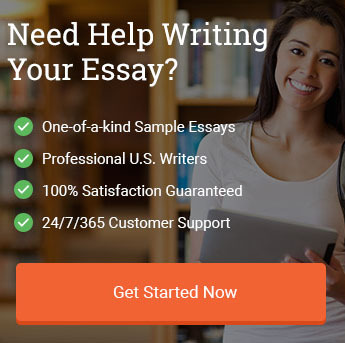 Student Network Resources Inc. "How to Write an Annotated Bibliography." Aceyourpaper.com. https://www.aceyourpaper.com/citation-guides/annotated-bibliography/ (accessed April 20, 2019).